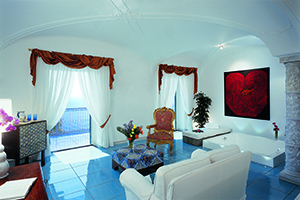 Only seafront luxury hotel on the Amalfi Coast. 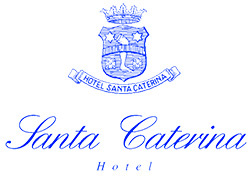 Has been family owned and operated for over 90 years offering a warm personalized service. 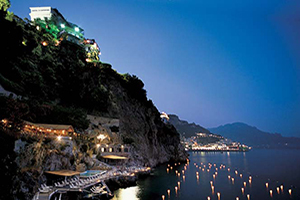 Centrally located 5 minutes from town and port of Amalfi. 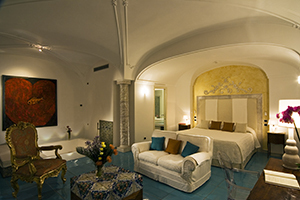 66 sea-view or partial sea-view rooms and suites, including four private honeymoon garden suites featuring classic Italian interiors, quintessentially Mediterranean architecture. Two restaurants, one in the main building and the other on sea level. 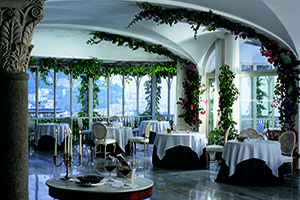 The careful selection of ingredients and the natural talent of the hotel’s chef. 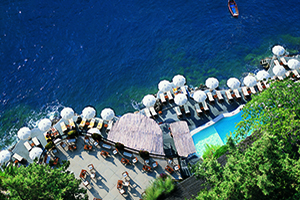 Two panoramic elevators from the hotel takes you down the cliff side to the seaside swimming pool and club. I had seen the hotel before but I will tell you that the level of service was over the top amazing. The people who work at your hotel seem energized and very eager to please. I have a bit of experience with hotel stays, and I promise you, I can now compare my future stays anywhere with what I found here. We were so impressed! Provided an incredible hospitality and made a 5-star luxury property feel warm and relaxed, like spending time with family without the “reserve” but with all of the 5-star amenities! My room was sensational and those views will linger in my mind forever and I will smile every time I reminisce. 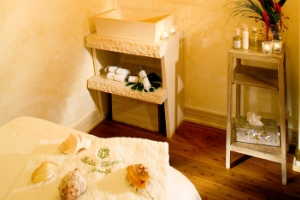 66 Sea View or partial Sea View rooms and suites, including four private honeymoon garden suites. 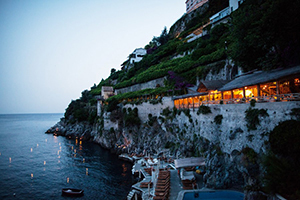 Two panoramic elevators from The Hotel down the Cliff side to the seaside swimming pool and Beach club. Spectacular gardens with lemon, orange and olive groves.